New ride-hailing firm 'Hype' got the green light to start operations from land transport regulators last April 18, 2018. And it held its first ever HYPE FEST at the SMX Convention Center in Pasay City earlier today as it goes full swing in its operations. HYPE FEST brought together its community of drivers, operators and the public to a fun-filled afternoon of entertainment, ganes and camaraderie. This activity was highlighted by the appearance of HYPE ambassador Piolo Pascual, plus raffling off various items from sponsors which includes a brand new Toyota Vios. 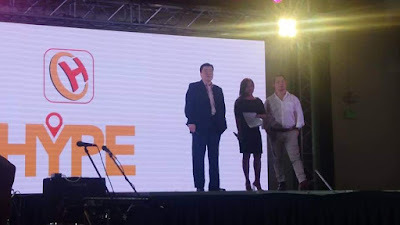 "We are proud to say that as the Filupino riding public goes on to support HYPE, more and more HYPE drivers will continue to enjoy more earnings by using the app, and will most definitely enjoy more surprises from us and our partners," shared HYPE President Nicanor Escalante. Moreover, HYPE Chief Operating Officer Jennifer Silan, presented a number of promo-incentive schemes for the riding public. Hype Transport Systems Inc. allows SMS booking. The system will be able to detect if you don't have data connection, so you can just text your location, your destination, plus the type of vehicle you prefer to ride in. The HYPE system in turn will text back the name of the driver, the car's model, plate number and the fare. 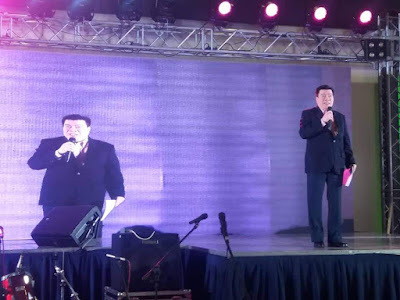 The event was hosted by Andrea Torres of GMA 7, with Ransom Collective band entertaining the audience. Download the HYPE app for free on App Store or Google Play Store now. Visit www.hypetransport.com or follow facebook.com/HYPE for more details.